My name is Veronica, I have been working professionally as a psychic for the over 15 years. I was born with special abilities and gifts to a family where in which all were blessed with the gifts that I have come to share with you today. Though, I have the ability to see, hear, and know that which most cannot, I have not ever thought of myself as "different" only "gifted". I have learned, after two PhD`s in science, that gifts such as those I have been born with cannot be questioned only accepted. There is no scientific explanation or theory that I have found via my research. My only findings is through the people that have touched my life as I have touched theirs through the powerful tools and guidance that I have been blessed to bestow upon each and everyone of those who have come to me at all different times in their evolution. My theory is as follows: there are three dimensions that humans can see and only one that humans can feel and that one is "time". For people like myself, time is not "linear". I can move forward through time and time that has already past to "view" and/or speak with the energies of those who are no longer with us and those who are there to guide us. 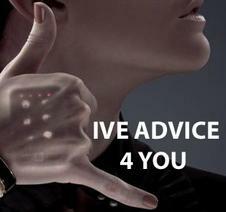 I will not offer you "advice" unless you ask advice of me, but I will give you answers.